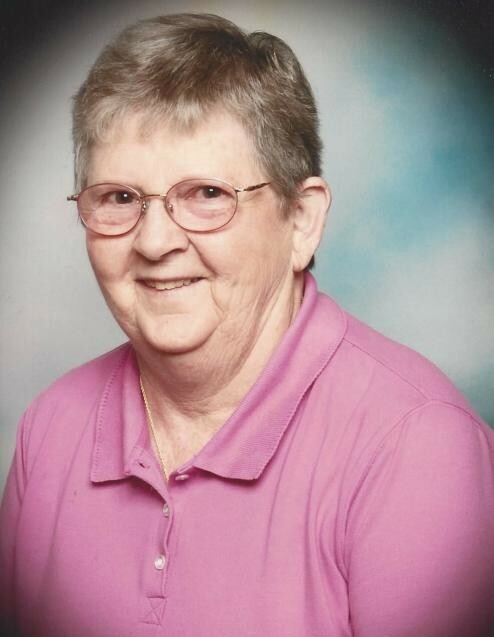 Margaret Ann (Voss) Mantle, age 87 of Beaufort, passed away Sunday, April 14, 2019, at her residence surrounded by her family. Margaret was born July 20, 1931, in Linn, a daughter to the late Bernard and Agnes (Thoenen) Voss. Margaret attended school in Linn. On September 25, 1948, she was united in marriage to James Mantle in Linn. He preceded her in death on January 27, 2013. Margaret was a homemaker and of the Catholic faith. She enjoyed sewing, quilting, crocheting, fishing, gardening, crafts, cooking and spending time with her family. Margaret is survived by: two daughters, Judy Mantle of Spring Valley, CA and Elaine Johns of Beaufort; two brothers, Bobby Voss and his wife Jean Curtit of Jefferson City and Roger Voss and his wife Agnes of Linn; three sisters, Bernadine “Bernie” Mantle-Mangles of Linn, Mary Ruth “Cookie” Pointer of Linn, and Betty Lou “Betsy” Edwards of Jefferson City; two grandchildren, Johnny and Jimmy McCabe; six great grandchildren, Ryan Mantle, Alyssa Reedy, Taylor Mantle, Gracie Mantle, Evan McCabe, Tory and Tristin; three great great grandchildren, Addison, Kenny and Brentley; a long time family friend, Diane Hazard of Spring Valley, CA; along with many nieces, nephews, and extended family. In addition to her parents and spouse of 64 years, she was preceded in death by: one son, James Rhey “Willie” Mantle; one brother, Wilbert Voss; four sisters, Jane Wilson, Helen Owens, Mildred Sallin, and Esther Paschal. Visitation will be held from 3:00 p.m. to 4:00 p.m. on Wednesday, April 17, 2019, at Morton Chapel in Linn. Funeral Services will follow at 4:00 p.m. with Diane Hazard officiating. Expressions of sympathy may be made to the American Lung Association.